This is a guest post by Katy Lindquist, Communications Director at Spark MicroGrants. Beatrice Namudele lives in eastern Uganda. Every morning, she wakes up at 6am to work in her gardens and make the two-hour journey on foot to the local market to sell her bananas, corn, and beans. As a mother of five, Beatrice's main focus in life is ensuring that her children have what they need to thrive--but between school fees, health care, and food, this is an ongoing struggle. Beatrice's village, Malungi, is home to nearly 600 people, set on top of a hill in Uganda's Mount Elgon region. Located over two hours from the nearest primary school and four hours from the nearest health clinic, the terrain to reach the village is steep and often impassable during the rainy season. Growing up in Malungi, Beatrice never witnessed her community coming together to address the challenges she and her neighbors collectively faced. She wanted to work together with her village to improve conditions for her children, but didn't have the platform to do so. 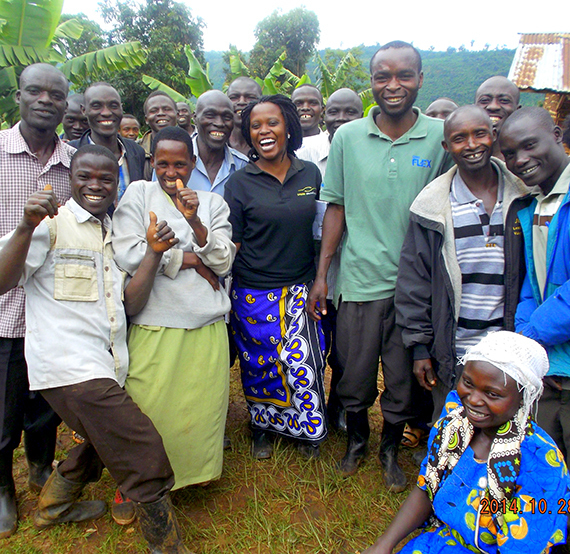 In 2014, a young woman named Esther from Spark MicroGrants came to Malungi. 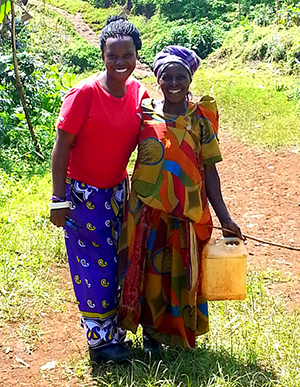 Esther met Beatrice outside of her home and told her about Spark's work with other rural communities in the area. Beatrice learned that Spark partners with villages like hers through a six-month planning process where the village is able to choose and then design their own social impact project funded by Spark. At first, Beatrice didn't believe that her village could choose any project but Esther assured her that the village would make the decision. Excited by the potential, Beatrice told her neighbors to come to the village-wide meeting that Spark facilitated. 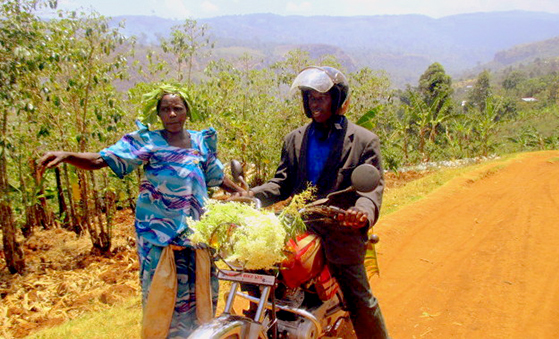 Through the Spark process, Beatrice's village designed and launched a motorcycle business. The business not only brings in a sizeable profit, but also increased access to social services and markets. Using a portion of the profits from the business, the community decided to set up a small nursery school within the local church. Before, most children under five were not able to attend nursery school because of the distance and terrain. School dropout rates were high because children weren't properly prepared for primary school. Today, nursery-age children in the village - including one of Beatrice's children - are receiving a quality education that will prepare them for success in primary school. Beatrice was elected to the project leadership committee as the lead woman mobilizer during the Spark process. Once a week, Beatrice would travel through the village, mobilizing people to come to weekly Spark meetings. Inspired by her leadership role, Beatrice began asking community members what else they could do to help reach their goals for the future. As a result, the community independently started their own savings and loans group. Every week after the Spark meeting was over, every household in the community would contribute a small amount of money towards a communal account that serves as capital for loans for village members. Malungi's savings and loans group became so successful that a number of banks in the region began making the long trek up the village to see if the group was interested in investing in a larger loan. After doing a thorough assessment, Malungi worked with Post Bank for a larger loan to grow their businesses, and they have stuck to their repayment schedule. Today, Malungi is a hub for small businesses. 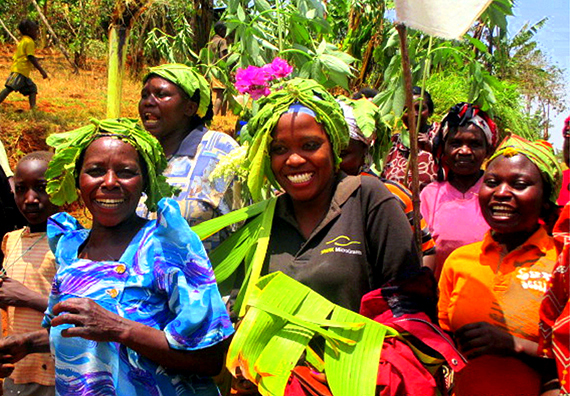 Beatrice started her own plantain farm business with a small group of women. The business has brought in enough profit for Beatrice to send each of her children to school with three meals to eat per day. Malungi is one of 134 villages in East Africa that have enrolled in the Spark process and, though exceptional, they are not the exception. Across Spark's programs in Uganda, Rwanda, and Burundi, stories like Beatrice's are heard on a daily basis. Spark's model is based on a simple premise: communities are capable of driving their own change. Spark's mission is to equip the most marginalized communities with the capacity and confidence to take the driver's seat of their own development. Once communities realize that they are not only capable of creating change but also the best positioned to drive change for themselves, the possibilities are endless. During a recent visit to Malungi, Esther asked Beatrice where she sees herself in the future. She responded, "In the next five years, I see myself as an active leader in the community, a chairperson or women's representative, a devoted mother and an advocate for children's education." In partnership with the Segal Family Foundation, Spark is able to create opportunities for women who embody the same power as Beatrice everyday. Join the community: sparkmicrogrants.org.